As always, I look forward to a new season for The Merlin Players. This past April I flew to Maryland to meet with playwrights Mala Burt and Laura Ambler to work on the new script for “Santa Diaries II - A Christmas Wedding.” They have once again written a funny and touching story about what the holiday season truly is. We look forward to having Mala and Laura with us as we present the world premiere of this new play. You will not want to miss this one! “The Savannah Sipping Society” is a play that I found while searching for a script with strong roles for older women. I sent for it and read it with great delight. I believe you’ll love it as well. “The Full Monty” is a musical that I have talked with Eric Parrish about directing for several years. It’s a story of working class people who find extraordinary solutions for the challenges facing them in an ever-changing work force. I’m looking forward to seeing what Eric brings to this story. 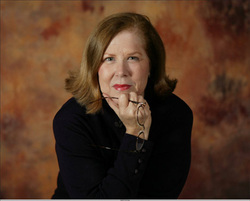 Mary Hahn (choreographer for “Cabaret” and “Nine”) has agreed to choreograph so you know the dances will be fabulous. We are grateful to everyone who buys a season ticket and donates benefactor money. It is the only way we are able to keep our tickets prices affordable for our audiences. We do so appreciate everyone who comes to see a Merlin show. A part of the community for 24 years now, we look forward to bringing you a new season of laughter, music and love.